Hwang is a Tony Award winner and three-time nominee, a three-time OBIE Award winner, and a two-time Finalist for the Pulitzer Prize. He is also America’s most-produced living opera librettist, whose works have been honored with two Grammy Awards. He co-wrote the Gold Record Solo with the late pop star, Prince. He is currently a Writer/Consulting Producer for the Golden Globe-winning television series, The Affair. His screenplays include: Possession, M. Butterfly, and Golden Gate. Hwang was a Residency One Playwright at Signature Theatre, which produced a season of his plays. M. Butterfly was recently revived on Broadway. 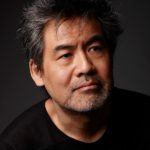 Hwang’s opera An American Soldier, with composer Huang Ruo, premiered in June 2018 at Opera Theatre of St. Louis. Recent honors include: 2011 PEN/Laura Pels Award for a Master American Dramatist, the 2012 Inge Award, the 2012 Steinberg Distinguished Playwright “Mimi” Award, a 2014 Doris Duke Artist Award, and a 2015 Ford Foundation “Art of Change” Award. He serves on the Board of the Lark Play Development Center, as Head of Playwriting at Columbia University School of the Arts, and as Chair of the American Theatre Wing.